With over 3 million acres of wilderness in Colorado, our tools to help you find a wilderness adventure near you. We’ve got no shortage of destination hikes, backpacking trip ideas for you to explore. Get started on your adventure now! Wilderness is best experienced on foot. Get prepared for your trip to the high Rockies with our handy backpacking guide. Preserving the outdoors for all to enjoy is part of the American way. Learn more about wilderness preservation efforts. The Maroon Bells - Snowmass wilderness is one of the crown jewels of the United States wilderness system. Beautiful rocky mountain scenery consisting of the iconic bell shaped peaks of the Maroon Bells, enchanting aspen forests, soaring lofty peaks, and wildflower meadow lands charm landscape photographers and tourists alike. 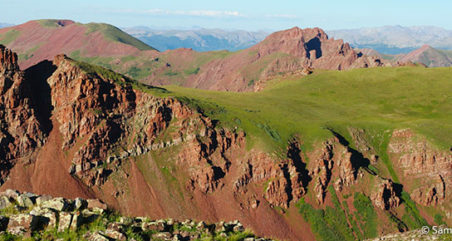 But finding solitude in the busy Maroon Bells - Snowmass wilderness can be a challenge.